First Anniversary of Demonetization: Black Day or beginning of an epic war against Corruption? Mangaluru, November 8, 2017: Modi stunned the world a year back on the night of November 8th, by scrapping Rs. 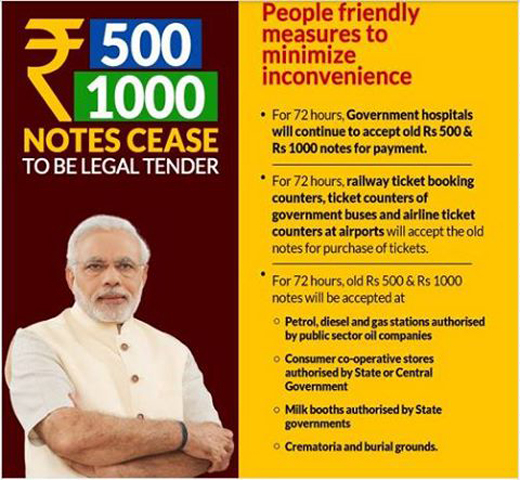 500 and Rs 1000 notes. Stated goals of DeMo was to fight corruption by exposing black money, detect counterfeit currencies, reduce terrorism by cutting off their funding. On this anniversary day, we need to examine what we finally achieved. Congress party argues that this is a black day. But this short article shows that they are wrong. This is a bright beginning of an epic war against corruption. I was one of those who had been a supporter of DeMo from the beginning and still believe that it was a good decision despite the short term hardships to many. As reflected by the election victory of NDA in UP, Uttarkand and Goa, despite the hardships, voters have supported the NDA. This also shows that voters in general have confidence in NDA’s fight against the corruption. It is true that farmers did suffer along with many others. According to some experts agricultural commodity prices fell as a result of DeMo. For example, onion prices fell from Rs 850 per quintal to Rs 450, potato from Rs 600/Q to Rs 300/Q and tomato from Rs 1600/Q to Rs 400/Q in some markets. It is rather unusual to see such reductions in three commodities all at the same time. Experts also attribute farmers’ loan waiver to DeMo. Already Rs 70000 crores worth of loans to farmers have been waived. Merrill Lynch, a security firm estimates that before 2019, Rs 2.6 trillion loans may be waived. It is also true that counterfeit currencies detected were only about Rs 41 crores while there is not enough proof to show that Demo has resulted in reduction in terrorist activities. Thus two of the three goals are only partially met and there is still a question mark on the first objective of exposing corruption. It is unfortunate that none of our universities or distinguished economists have conducted full blown scientific analysis to study either the short term or long term impact of DeMo. Most of the comments on DeMo unfortunately are influenced by whether one likes Modi or not. Let us recall what Aravind Kejriwal who became CM of Delhi on the platform to fight corruption had to tell about DeMo. He stated supporting DeMo is an anti-national activity. What an irony! Soon after DeMo was announced, some experts had predicted that about 20% of banned notes will not be deposited. This was based on an estimate that black money in circulation is about rupees three to four lakhs. However of Rs. 15.44 trillions of currencies scrapped, Rs. 15.28 trillions (99%) have been deposited. This does not mean that DeMo has failed to detect black money. 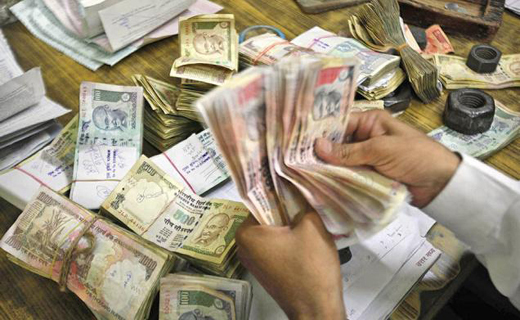 If the government succeeds in finding the sources of money deposited, it may ultimately lead to detecting black money. Finance ministry has already found that whopping amount of Rs. 5.03 trillion has been deposited by just 147,000 individuals. This works out to Rs. 3.4 crores per person. Why will any one keep such huge amount under the bed? 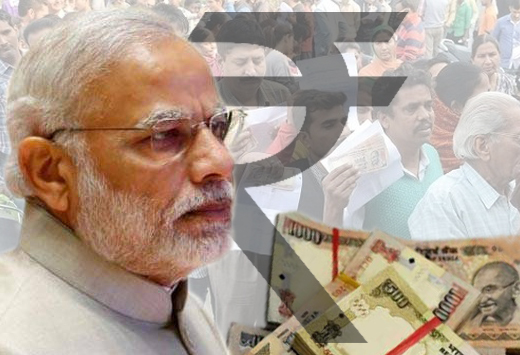 Will investigative agencies have the capacity to unearth the black money now? Will there be political will on the part of NDA without showing any partiality to enforce the rule of law? Some other benefits of DeMo are as follows. Cash to GDP ratio has fallen from 11.3% to 9.7% which will result in reduced black market transactions and higher tax collections. Similar results will take place as a result of increasing digital payments which have gone up by 41%. 9.1 million new tax payers have been added after DeMo. 1.8 million notices have been sent to assesses to explain their sources of Rs. 3.2 to 4 trillion. Cash deposits worth Rs 17000 crore were made and later withdrawn by 35000 companies which are deregistered. Scrutiny of these companies should lead to detecting illegal transactions. In the end all these efforts will lead to exposure of black money. DeMo has clearly shown that black money earned is not stored in the form of currencies, but converted into assets like real estate, gold, foreign deposits etc. Whenever raids have been conducted only about 5% of unaccounted wealth is in the form of cash. Now the NDA government has started to investigate into benami assets which should further result in detecting more black money and corrupt activities. It is more than likely that part of the drop in GDP following DeMo has been caused by demonetization - not to the extent of 2% as stated by Dr. Manmohan Singh. It is also true people did suffer hardships. However when a major surgical attempt is made to fight corruption, it is inevitable that there will be short term pain. With hindsight we can argue that with more planning DeMo could have been implemented to cause less hardships. When we weigh the short term harm ( inconveniences of standing in line, and loss in GDP) with the long term benefits ( higher GDP, less corruption), DeMo can be considered as a partial success. However if the government succeeds in the follow up and is able to unearth the black money, continue to promote digitalization of financial transactions, expose benami assets, then DeMo could become a resounding success. Now that the epic war has started, we the citizens should give full support to any government which will continue it with a strong political will as demonstrated by Modi.